The statistic displayed above shows the share of households with internet connection in Belgium from 2007 to 2017, by region. 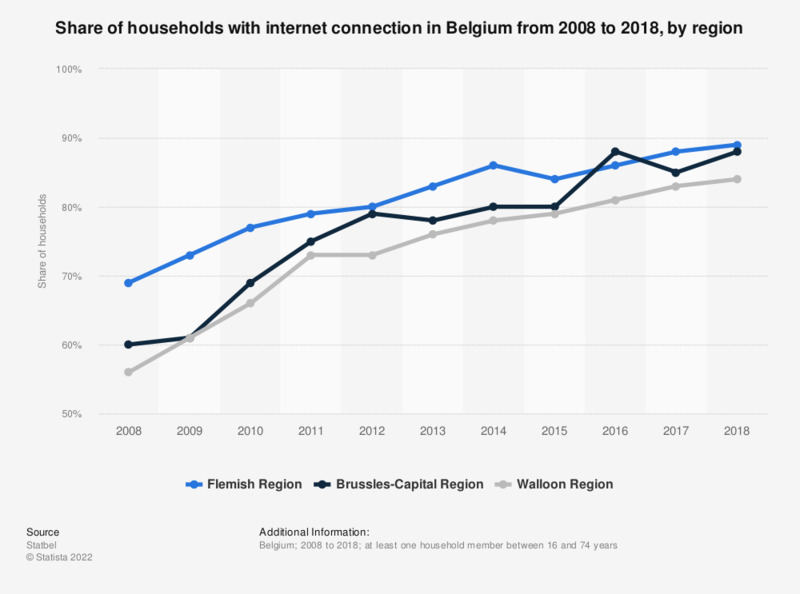 In 2017, 85 percent of the households in the Brussels-Capital Region had an internet connection at home. Everything On "Internet usage in Belgium" in One Document: Edited and Divided into Handy Chapters. Including Detailed References. How does your household access the internet at home? When subscribing to an Internet connection what are the main factors you consider?